A Bar/Bat Mitzvah marks the beginning of a child's lifelong adult connection to the Jewish people. The Bar/Bat Mitzvah "twinning" program is an increasingly popular way to strengthen a child's identification with his or her Jewish heritage by forging bonds with individual children who were murdered during the Holocaust. As time passes, remembering those who were murdered in the Holocaust becomes increasingly difficult. How can we remember them not only as victims, but as individuals? We believe that to do so, it is important to understand who they were: people with families, communities, friends, likes and dislikes, goals and aspirations. 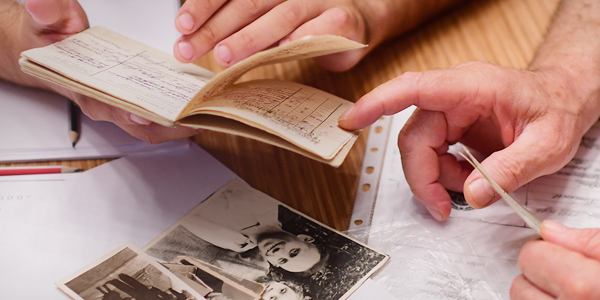 Choosing to participate in the Yad Vashem “twinning” program will give you the tools to remember and learn about the life of a child who was murdered during the Holocaust. 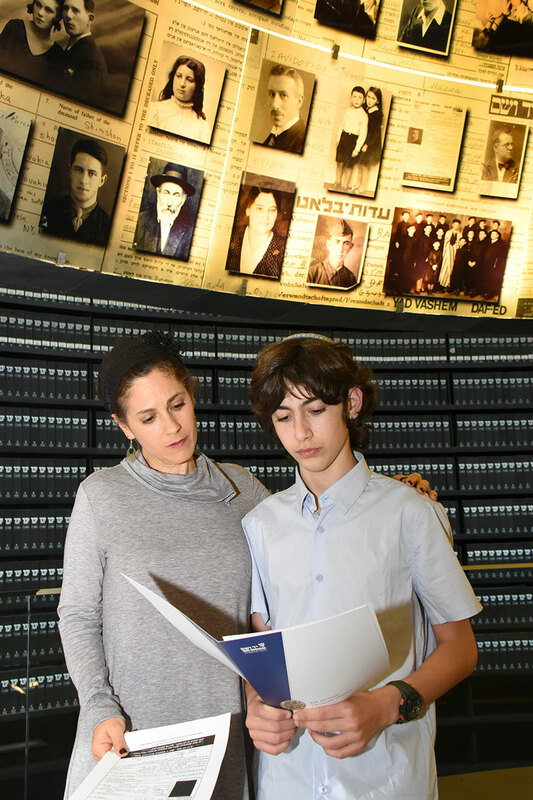 Yad Vashem will twin the Bar Mitzvah boy or Bat Mitzvah girl with a child who did not have a chance to mark his or her own Bar/Bat mitzvah. The boy or girl being remembered will share something with the child celebrating – a birthday, a name or place of origin. By remembering your "twin", you are helping to keep his/her memory alive. 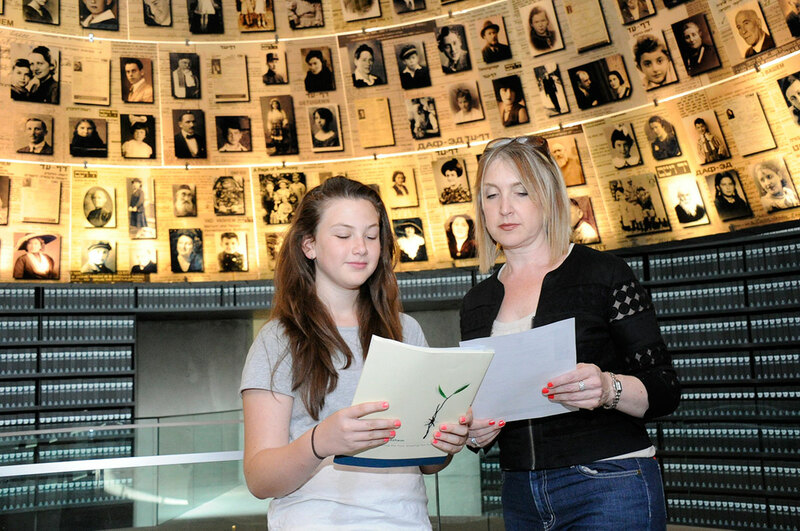 Yad Vashem has developed a special tour in the Holocaust History Museum to mark the occasion of a Bar or Bat Mitzvah. The tour focuses on the fate of children and teenagers, and on the challenges that faced the Jewish family during the Holocaust. At the end of the tour the Bar Mitzvah boy or Bat Mitzvah girl receives a special certificate commemorating a boy or girl their age whose memory they have undertaken to perpetuate. If you're not planning to visit Israel in the near future you can still participate in the twinning program. The Bar Mitzvah boy or Bat Mitzvah girl will be twinned with a child who did not have a chance to mark his or her own Bar/Bat mitzvah. He/she will receive a folder by registered mail containing the Page of Testimony of his/her "twin", Pages of Testimony of the immediate family members as well as a study guide and a special certificate acknowledging participation in the twinning program.